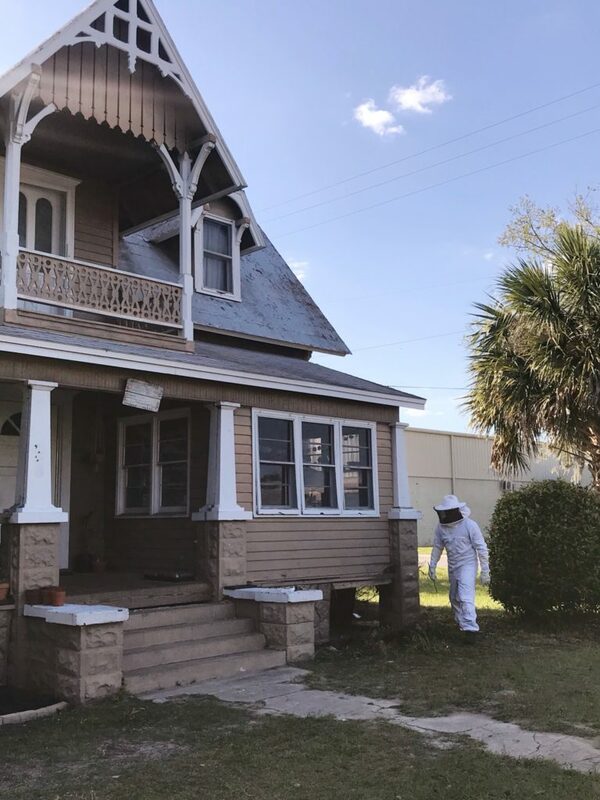 Remember a few weeks ago when I wrote about the bee tornado? Well, it’s happened again! Ahhhhhh! 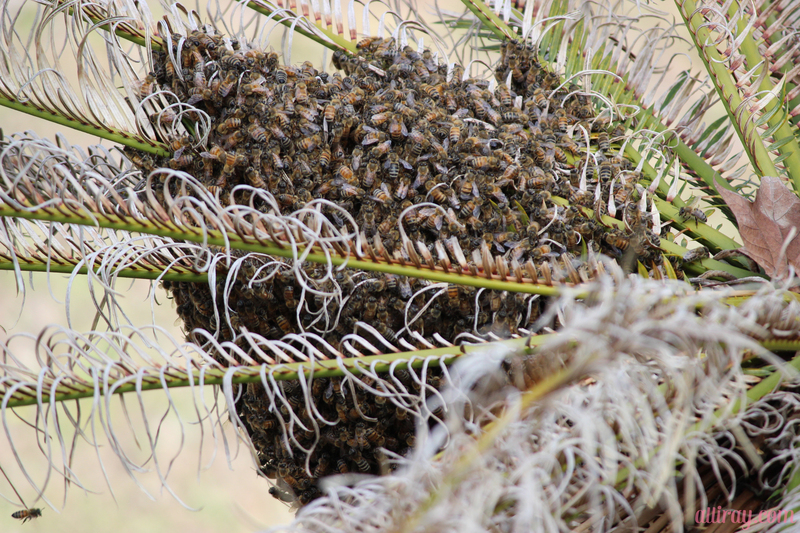 This time there wasn’t really a bee tornado, just a bee cluster. 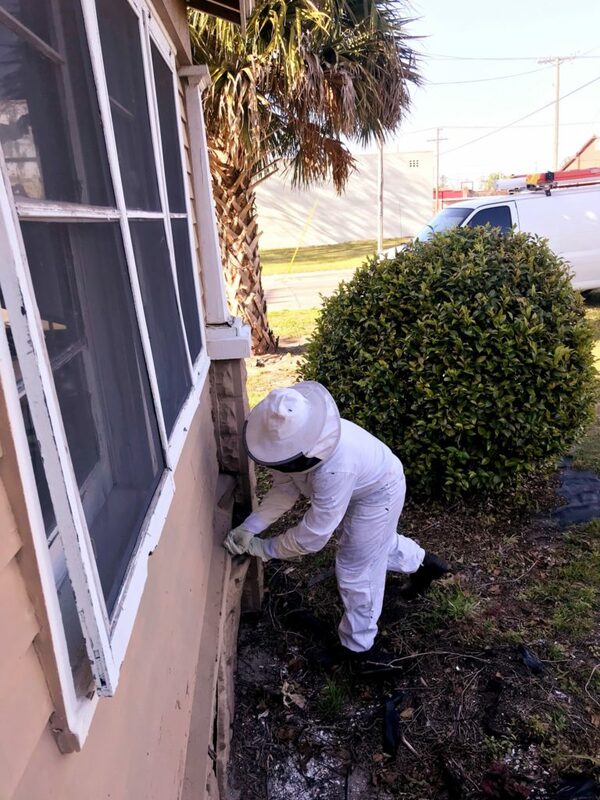 Since the bees are out in the open and aren’t protecting and honey or young, they’re actually fairly docile. 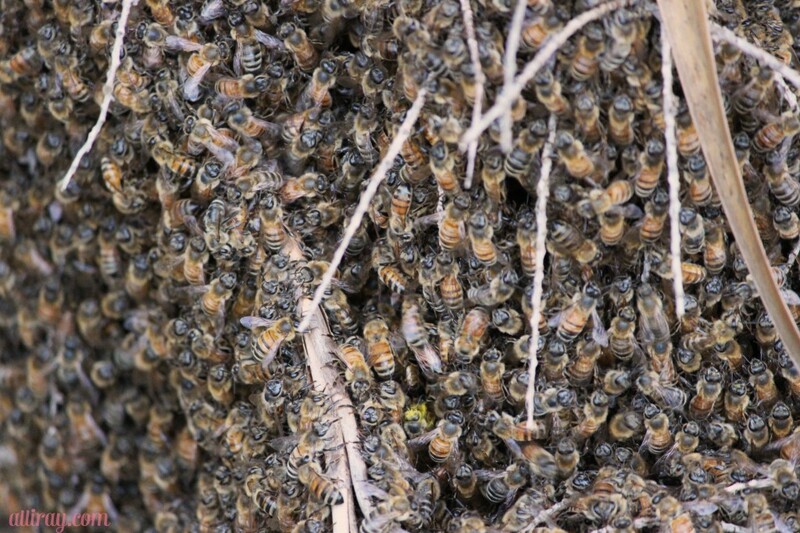 We were able to get pretty close to the cluster and didn’t have any bees try to sting or even get near us. Thank goodness! 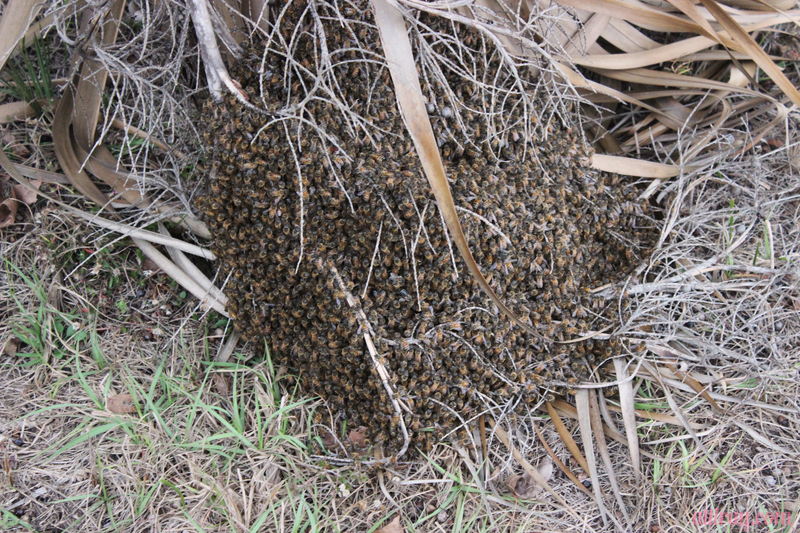 Despite the bees seeming relatively calm, it was still completely terrifying seeing that amount of bees in one space. Have any of you guys had a similar experience? What in the world is going on?! 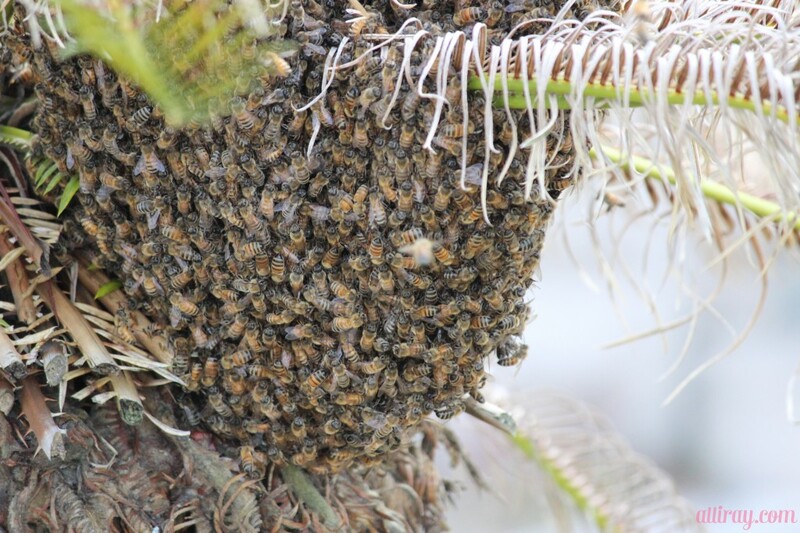 This entry was posted in Life and tagged bee hive, bees, scary on March 12, 2013 by allison. Want to see something terrifying? Yesterday, I was sitting in our living room and heard a branch break on our palm tree. 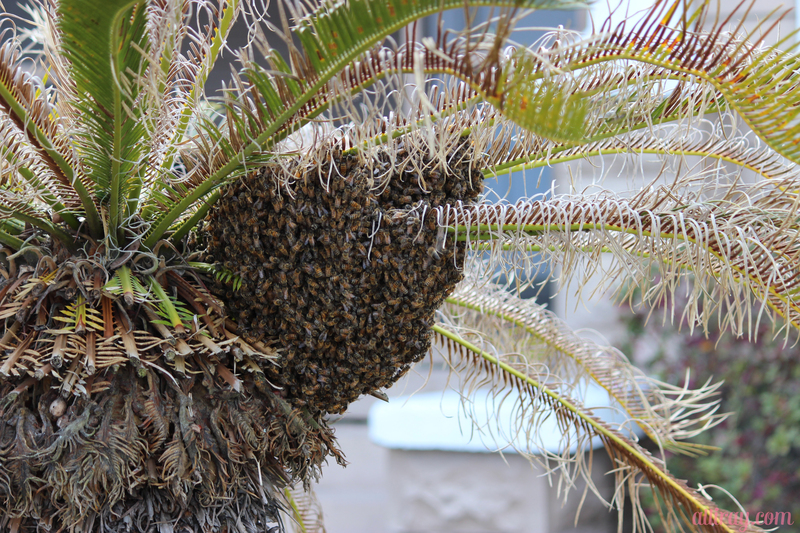 When I looked out the window there was literally a bee tornado swarming our front yard, concentrating on a palm tree branch. I got scared, woke Ray up, and stalked the bee tornado for the better part of the afternoon. About 8 hours later Ray got brave and went outside to capture these shots of the fallen branch still covered in bees. SO TERRIFYING!!! How about a closer look… AHHHHH!!!!! We think maybe this is happening. What do you think? 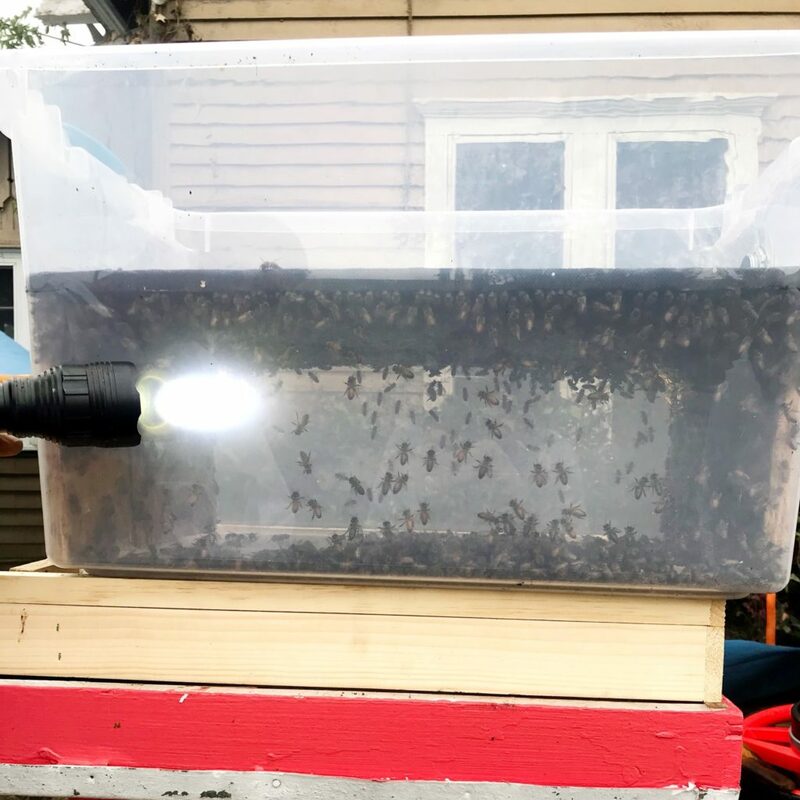 This entry was posted in Life and tagged bee tornado, bees, swarm, terrifying on February 24, 2013 by allison.